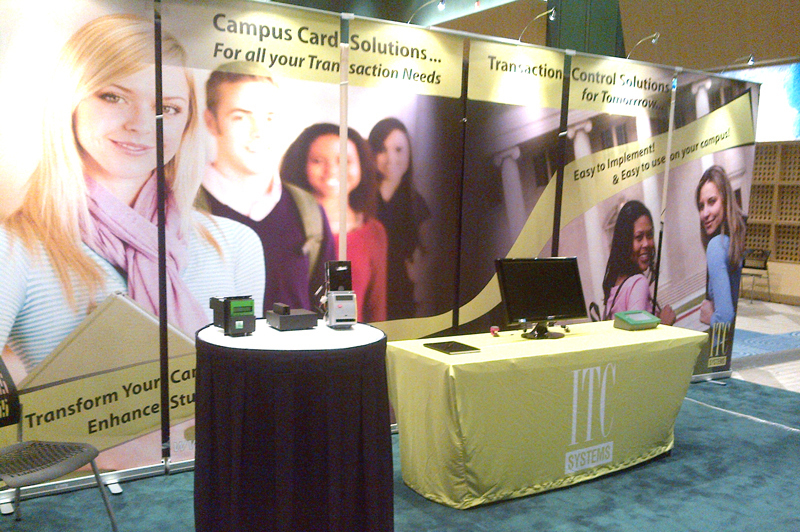 Orlando Fl – April 18, 2013: As a Gold member of NACCU, ITC Systems made a big splash at the 20th National Association of Campus Card Users Conference in Orlando, Florida. This years’ conference was outstanding with a huge turnout and a wealth of information being exchanged. ITC Systems’ CEO, Cam Richardson made an insightful presentation on the importance of professional services in a campus card implementation. Furthermore, the UCF Campus tour gave representatives from over 50 schools the opportunity to not only learn more about this breath taking campus but also experience the ITC Systems’ campus solution as a whole. We thank all the staff and volunteers from NACCU and UCF as well as all the guest speakers that made the conference truly special. ITC Systems’ would also like to provide a special thank you to each and everyone who attended the show and swung by our booth to learn about our great products and services. Looking forward to an even greater NACCU conference in 2014.